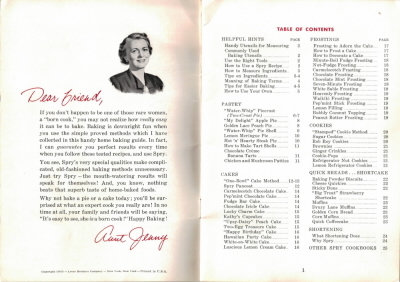 Here is the inside cover and the Table of Contents (page 1) of the vintage cookbook: Home Baking Made Easy that was published in 1953 by Lever Brothers Company. To review all pages in this booklet, simply visit the Home Baking Made Easy: Spry Category and click on a page title to review that section. There are scans of each of the pages, you can click the full-page pictures to view a larger size. If you don’t happen to be one of those rare women, a “born cook,” you may not realize how really easy it can be to bake. 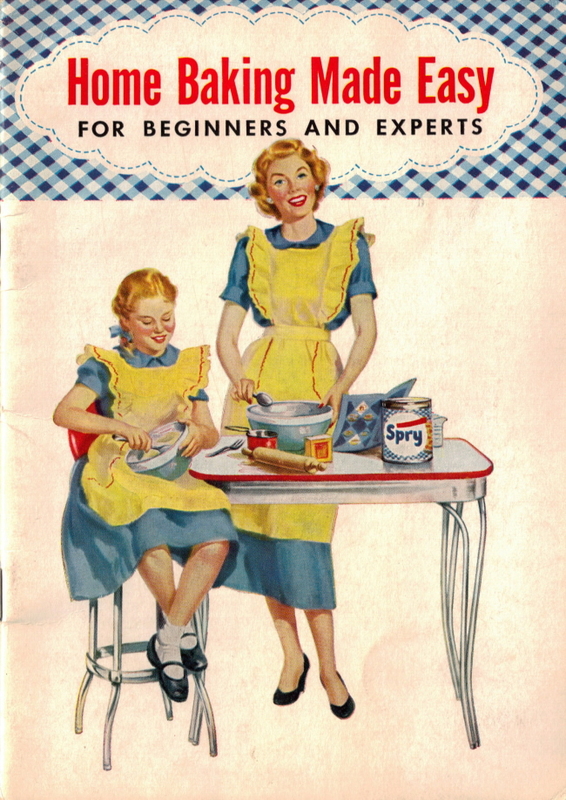 Baking is downright fun when you use the simple proved methods which I have collected in this handy home baking guide. In fact, I can guarantee you perfect results every time when you follow these tested recipes, and use Spry. You see, Spry’s very special qualities make complicated, old-fashioned baking methods unnecessary. Just try Spry–the mouth-watering results will speak for themselves! And, you know, nothing beats that superb taste of home-baked foods. Why not bake a pie or a cake today; you’ll be surprised at what an expert cook you really are! 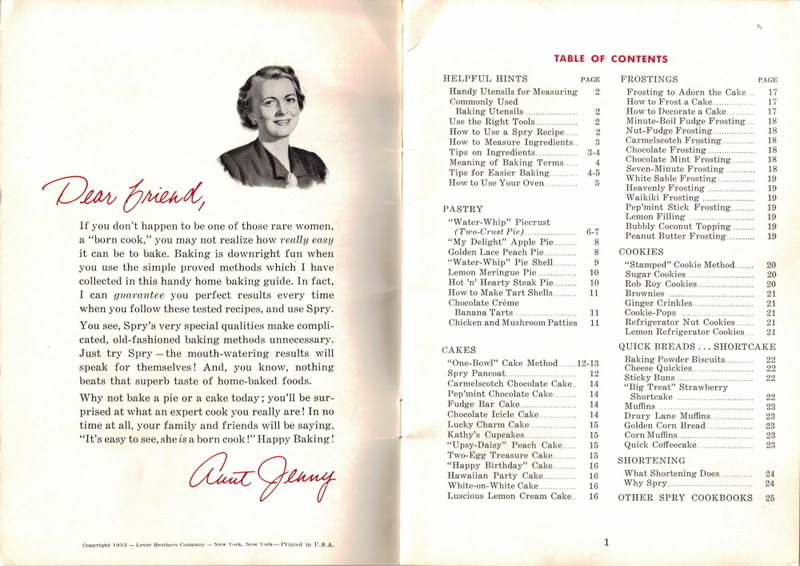 In no time at all, your family and friends will be saying, “It’s easy to see, she is a born cook!” Happy Baking!